Original era manufacture. Nice quality, cast iron construction badge with a black and silver painted finish; older replacement ribbon. 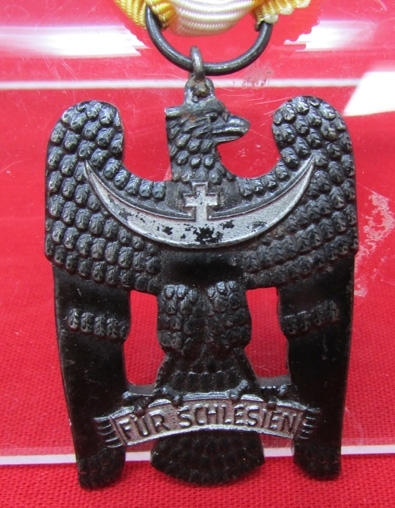 Measures 30x42 mm, light age and wear.Awarded to those troops fighting in the Silesian Uprisings of 1919-1921, by the Friekorps Oberland. The 2nd class was awarded for 3 months service, the 1st class (pinback) for six months service. 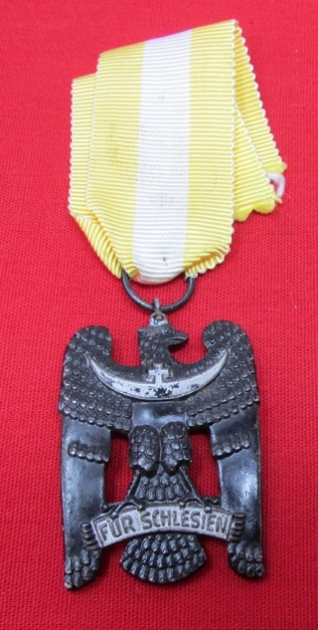 One of the few FreiKorps awards permitted to be worn on uniform during the Third Reich era.